If you are concerned about having high blood pressure then it may be time to take a look at how you can reduce your risk factors with some natural help. Many studies have shown that diets which are rich in calcium, magnesium and potassium can help lower raised blood pressure. Magnesium is an essential mineral for the maintenance of heart muscle contraction, and potassium is important for contributing to the maintenance of normal blood pressure. A Swedish study of 34,670 women aged 49–83 years found that women with pre-existing hypertension had a lower risk of having a stroke, (one of the major risk factors with high blood pressure), when their diets were higher in potassium and magnesium. 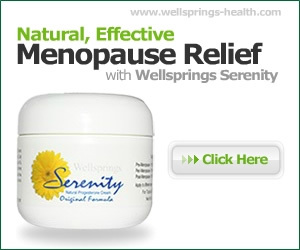 Many women combine hypertension medications with bioidentical creams such as Serenity to help deal with menopause symptoms, and weight gain. Because bioidentical natural progesterone acts as a diuretic to lower your blood pressure, it is advisable to monitor your blood pressure regularly as it may able to reduce the drugs dosage but only in consultation with your doctor.